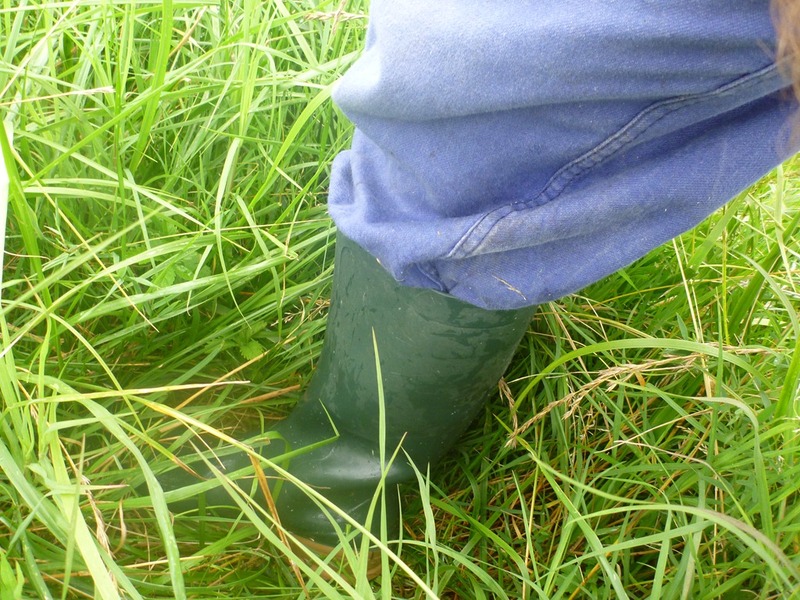 The grass out in Sleepy Hollow paddock is better than other places on the farm. 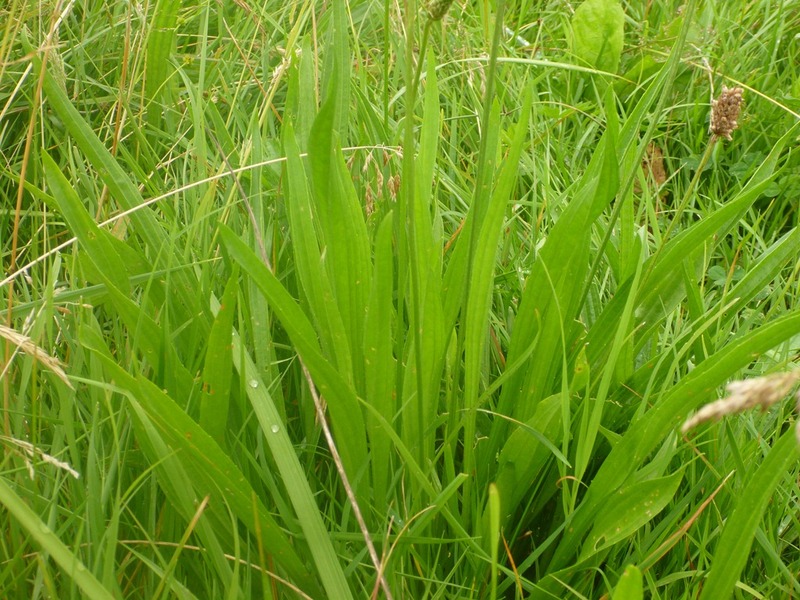 It grows early in Spring, it recovers faster than any other paddock and it has a good variety of species. Like this ryegrass. 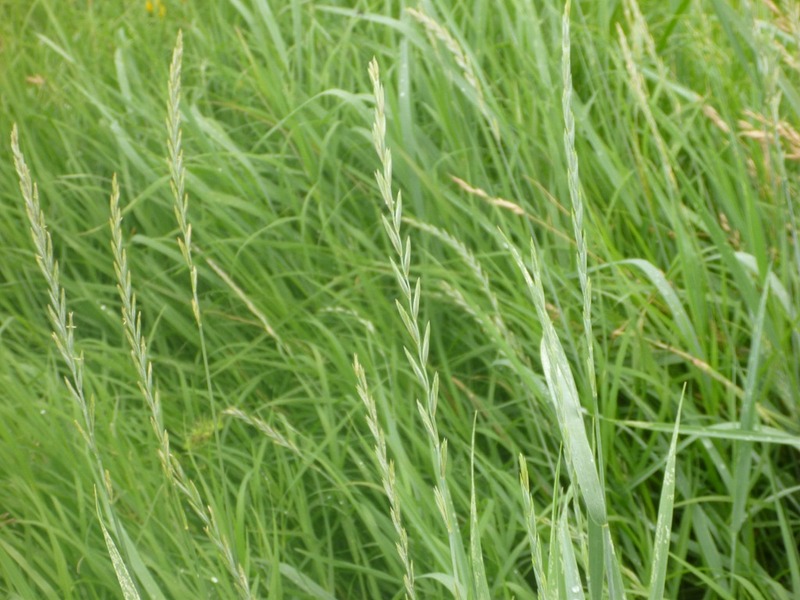 This Timothy-like grass that could be Timothy but could be Foxtail. I need to read up on how to identify a Timothy. Plantain. The cows like this one. Newman Turner agrees. But what’s underneath? 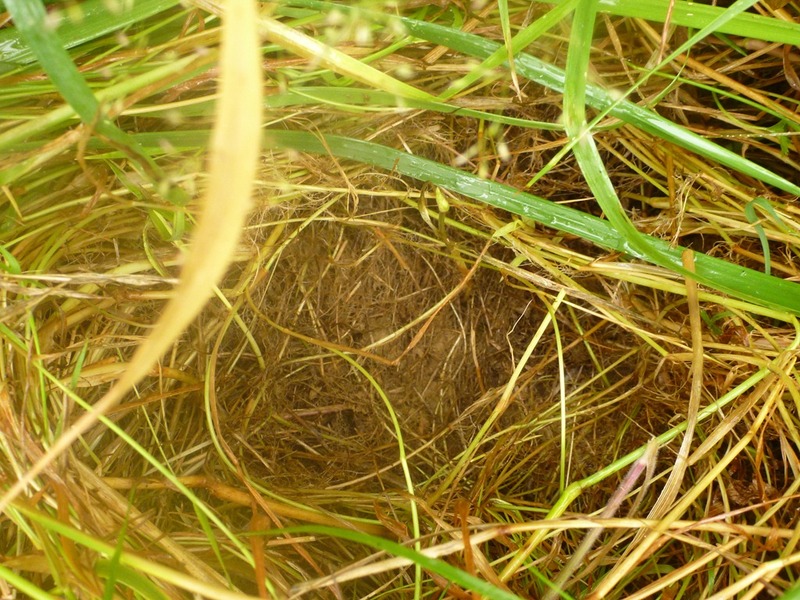 A rotational cycle ago the herd was here and I dug under the grass in the wormvana post. This time it was a little harder to get to the soil. The paddock has had seven weeks of growth since the cows were last here. Under the new grass you can see the yellow stems that were trodden in last time. 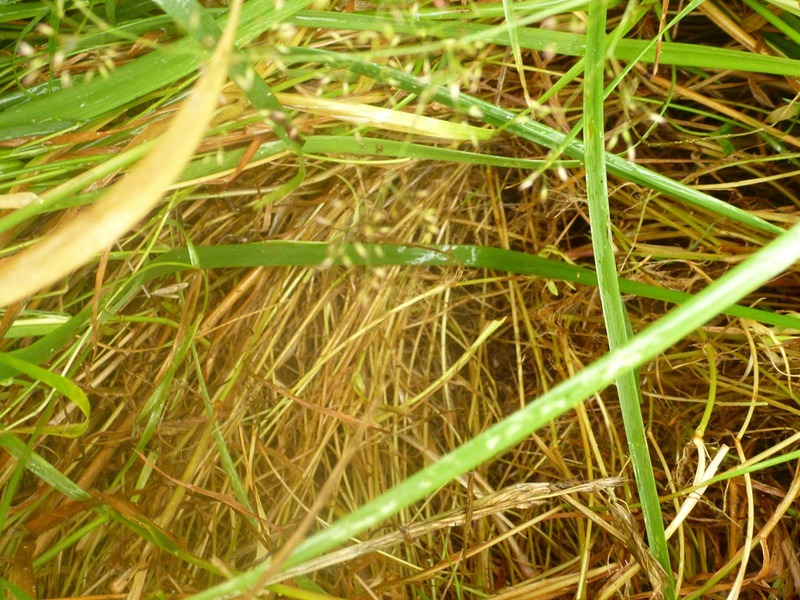 Here the grass is pushed aside and underneath there are a lot of brown stems. It is wetter down there than up above. If you keep ripping through the stems you get to this layer, where the decaying vegetation feels like soil. The spring worm casings are less visible now and seem to have broken down in this layer. This is new soil forming. Sleepy Hollow produces so much material now that each time the cows go through they tread a huge amount of grass on top of the existing soil. The cows approve. Here they are waiting for me to let them at that grass. As a musical finale, while futzing with the lines to the cow water bowl today a voice came over the walkie-talkie of the Agricultrix singing Ireland’s entry into the 2012 Eurovision Song Contest, a song about water lines! I guess those Jedward guys are farmers too. I still have that DVD of the Jedwardian Garden that you lent me. total road trip planned to south west france to meet a fellow jed fan… you don’t even realize how much we will talk about grass-types in order to talk all-things jedward… lol… seriously, though… why in the world would you put this on your blog?… was it only the waterline thingy or are you a fan? If so, welcome to the planet. 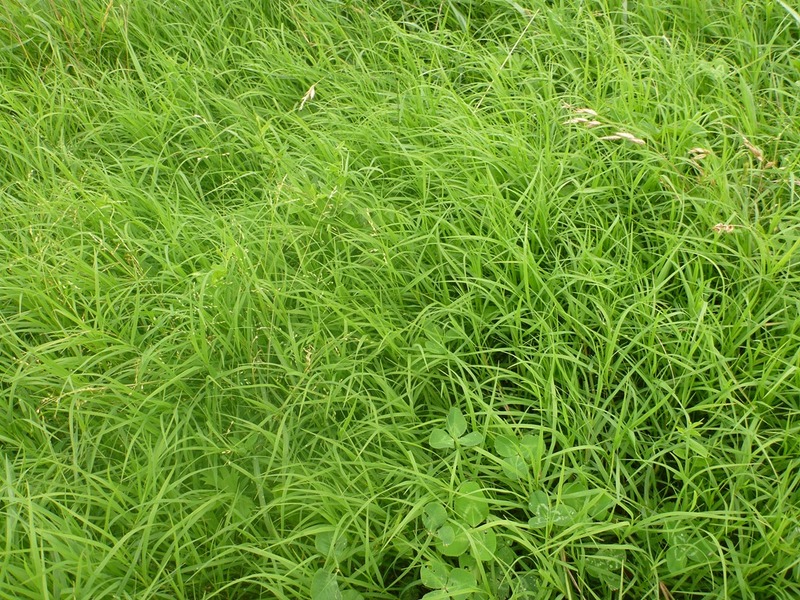 Great looking grass, it just shows what can happen if you do the type of grazing you are doing. 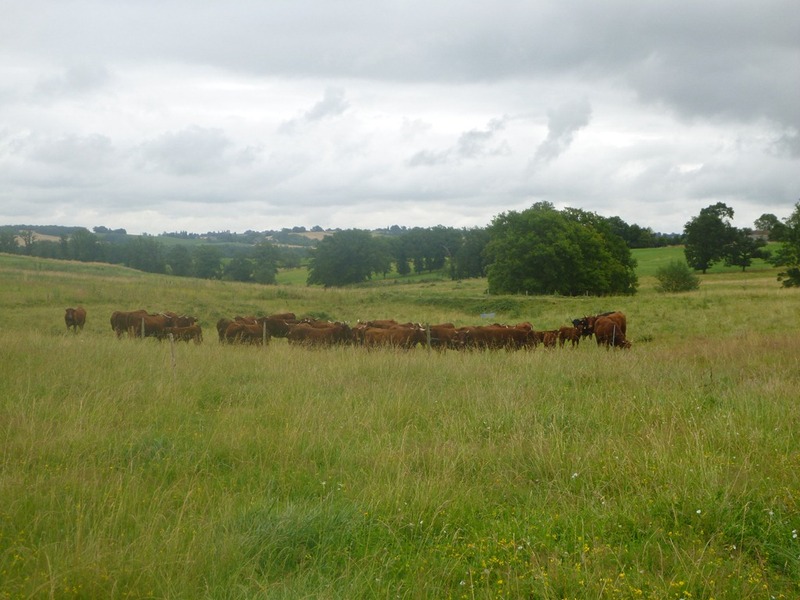 I can’t wait until I get moved to our farm and do this type of mob grazing. Thanks for sharing this. 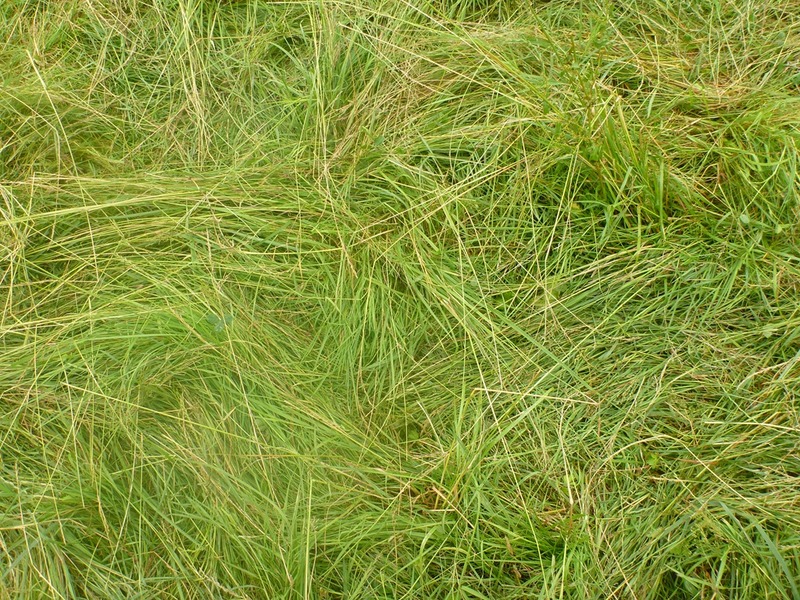 I love your posts about grass; they are so educational and helpful. We have a long ways to go before we have anything like your Sleepy Hollow! Janie, I was moving the waterlines to the cow water trough yesterday when the wife sang the Waterline song over the walkie talkie. Eurovision was big at our house this year so all the songs have burned into our brain. I’m glad we can be surreal for you folk on the digitalspy Jedward Appreciation Thread. Gordon, in the meantime good luck with those trees. Reading those posts made me want to get stuck in to planting some more here. Curious, thanks for the help with the ID. I’ll call it Timothy now. Weird to see this sprout up this year, although a lot of those grasses that the rest of the world seeds are natives out here. Susan Lea we have a long way to go to get the rest of the farm up to that level of fertility. This is the best bit. 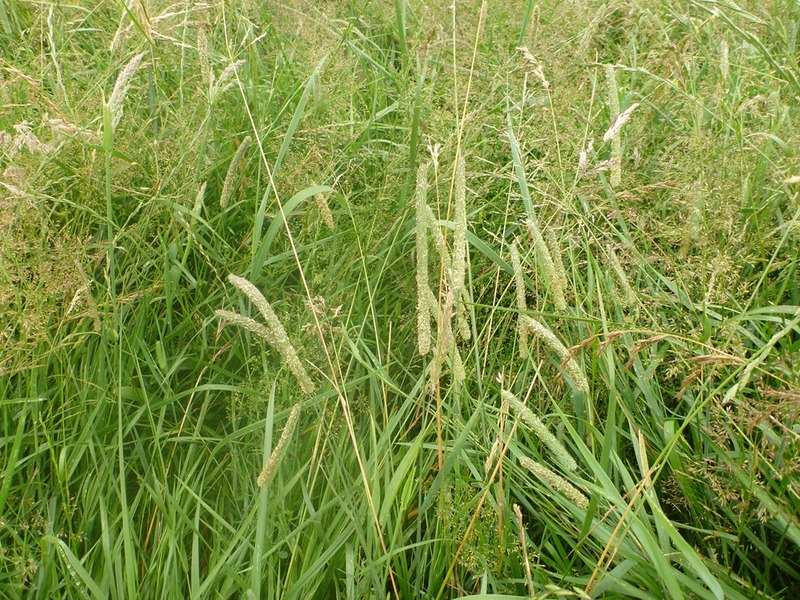 Yes, I’m pretty sure it’s Timothy (Phleum pratense). We have it all over in the Chilterns.